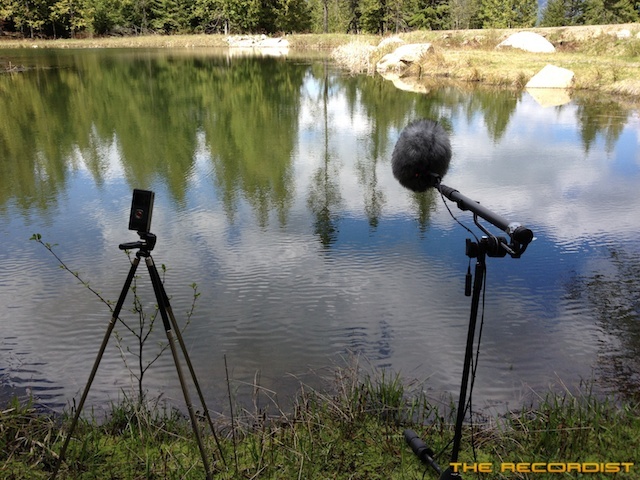 This is the Ultimate Splash HD Professional Sound Effects Library – Water splashes North Idaho style! We have our share of it way up here in North Idaho. One of the largest fresh-water aquifers in the country is right underneath my feet. This super soaked collection contains 344 water splash sound effects from many exhausting recording sessions over the last 3 years. Recorded and mastered at 24-Bit 96k this unique library will make any production needing water sound design come alive with the sounds of the cleanest water on earth. I visited quite a few ponds and lakes with the intention of throwing everything and anything I can into them. Rocks, cement blocks, chimney casings, wood logs, sticks, metal barrels and buckets were Used to create the largest and smallest of splashes. I also employed my trusty JD tractor and dumped various amounts of water onto the ground and into bodies of water. I wish I could have thrown my own body into the water but at the time it didn’t seem like a good idea. Watch the making of video! – Could you talk us about some of the recording sessions you had for this library? I never really planned this library the same way I did my other Ultimate collections. 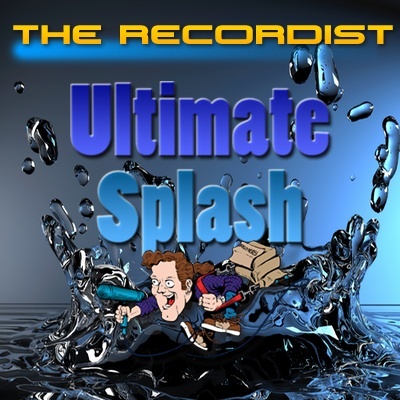 The sounds in Ultimate Splash were mostly recorded during other sessions for Ultimate Rockslide and Ultimate Concrete. I would be at a location, or on the way to one, and notice a pond or small body of water. Because of the way my mind works, I started to entertain the idea of recording splashes. The only planned sessions were with my tractor and the footstep/movement. I recorded tons of rocks being thrown into water—large, medium, small, and everything in between, I was tossing it. I also rolled some rocks on the ground at high speed to bounce into the water. There are some cinderblock and chimney casing splashing sounds also. I had to tie a rope to them so I could haul them out. The pond was not very deep so it worked great. I thought the rope sound might get in the recordings, but it was a strong, light nylon rope that barely make a sound. There are a few takes where you can hear the rope swishing right before the splash. It turned out to be a cool aspect of the take. My mud pool had filled up with water a few times early in 2010 because of heavy rain, and I used the pool to throw all the left over tree mess from the winter. A massive Cottonwood tree limb fell into the pool, and the heavy part of it was sticking outside the rim of the pool. I was able to put my weight on that end, lift it out of the water, and let it fall back in. The smaller branched out section of the limb was in the water and made some nice movement sounds when I seesawed it up and down. At the time, I was thinking “sea serpents” coming out of the water. I have had to design “sea serpents” for video games. I also tossed medium sized pieces of logs into the pool with various intensities and angle of attack. Some old lumber hanging around in the woods was also thrown into the pool. I played with sticks hitting the water really hard. This made for some great high speed water bullet-like impacts. They don’t sound as if a sling shot was used, but they are very good on their own. 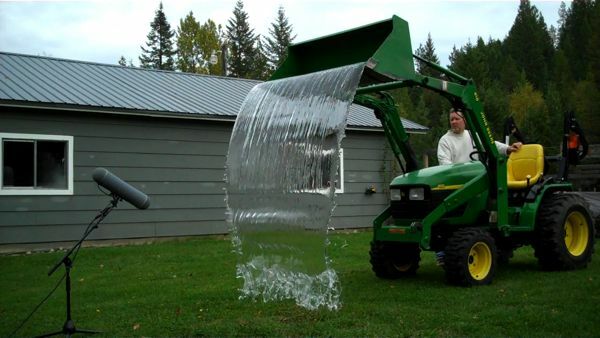 I dumped many loads of water with my tractor bucket. This was the most difficult part because I had to fill the dump by hand with a five gallon bucket. I was almost worn out by the time I was ready to record. I always waited a few minutes to settle down so I could focus on the performance. Another thing that also slowed me down was waiting for the birds to quiet down. I noticed that when I go into my woods they all get excited and start singing or tweeting. It can take as long as 20 minutes for the bird songs to finally end. At times this would attract the very large Ravens. They make quite a squawking sound, especially in mating season, and the best time to record water…the spring. 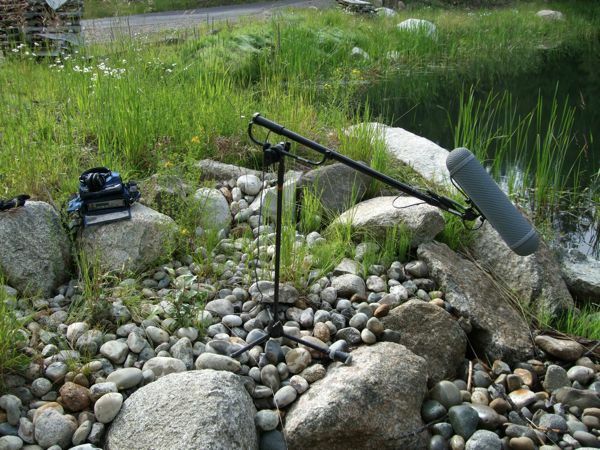 Delays are inevitable when recording in a natural setting. 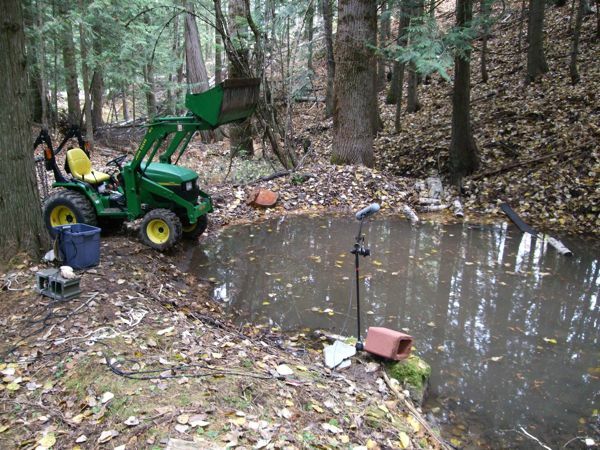 There were a few foley type sessions where I’d walk, stomp and run through eight inches of water. 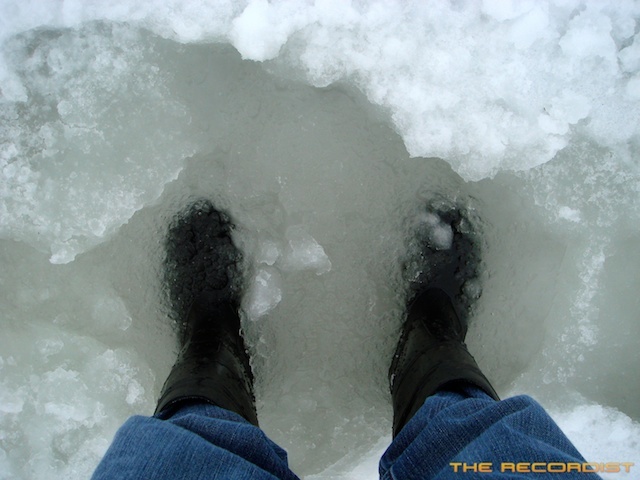 The water had pooled in my snow paths after a very mild winter a couple of years ago. There are also sounds from my water hydrant-type spigot near the side of my house—the one I use for outside watering and such. It has the type of shut off valve that after it sits for a while the water drains back down into the deep part of the underground pipe to prevent freezing in the winter. When it’s turned on (makes great cartoon squeaking sound) it takes a while for the water to be forced up the pipe. It makes a great traveling sound up through the pipe and then a final splash as it comes out. I almost didn’t include it in the library, but it does make a splash when it hits the ground. – What kind of performances and variations could we find inside? Many! I try and record as many variations as possible given the circumstances. I always find that having more is better. This collection represents the best takes I have. There were many clunkers and I did not want any unnatural edits. There are a few splashes that were spliced together from different takes but only if it sounded natural. The start of one splash would be edited into another that had a messed up start and vise versa. There’s lots of water being dumped by my tractor. I dumped water into water and water onto the ground. Large and small amounts were dumped and every sound has a unique quality. 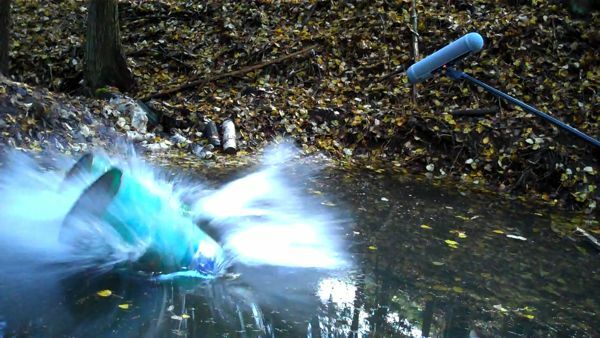 You would be surprised at how long it takes for water to finish dripping out or the tractor bucket after being dumped. 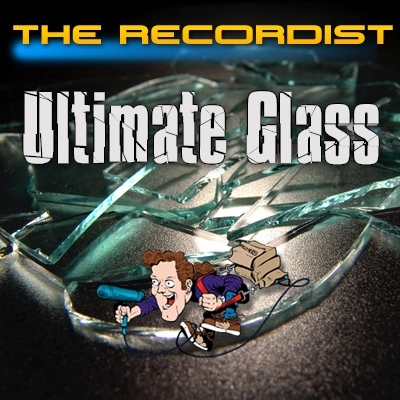 – Any special microphone setup or trick you used during those sessions? I have to tell you that I was really winging it with the water recording. I was looking for bigger splashes and that brings some new issues to the table. First, I have to say that lots of water splashed the microphone zeppelin. There are at least 200 takes that are not in the final library because the “thunk” on the mic was just too much. You would think a tiny splatter of water would not sound too loud, but water is dense stuff. The smallest amount can make quite a loud sound when it hits plastic. 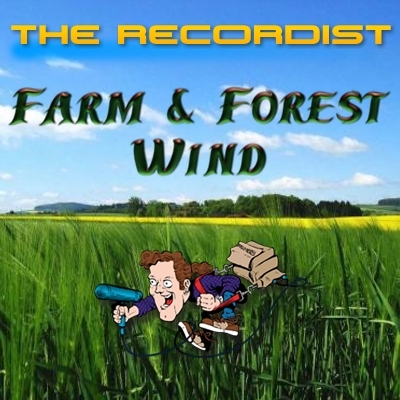 When it was not very windy I recorded without the windjammer furry thing. When possible, I prefer to not use the windjammer because, in my opinion, it effects the sound a little bit. It comes in real handy when the wind is blowing, but for the most part, I was in areas without much wind at the time. 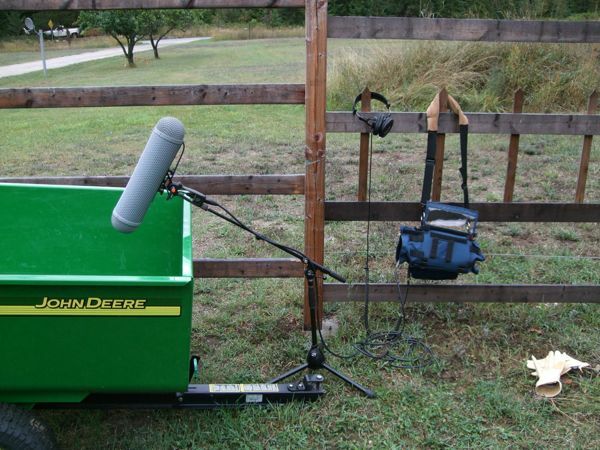 When I was recording the 300 gallon water dumps with my tractor, I was really concerned that the splash would hit the microphone. 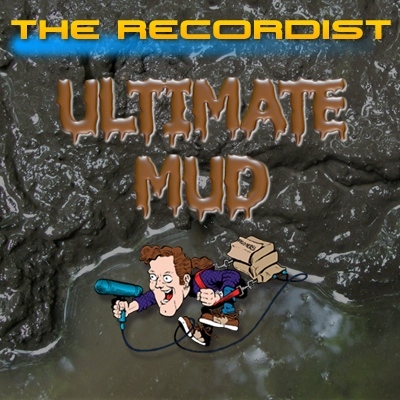 Because of the location of the mud pool, there is no level ground to place the microphone stand. I had to place the stand off to the side and angle the mic in a strange way. I rotated the microphone inside the grip and zeppelin so even though it looked like the stereo field was weird, the mic inside was turned just the right amount for left and right to be level. I also had the Sony PCM-D1 set up as a back up. It got soaked the most and only a few takes made it out alive. 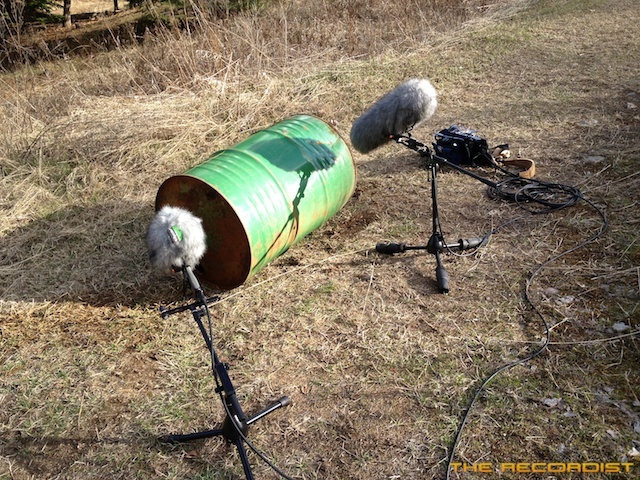 – How did you protect your gear during the recordings? I could have been more careful with the gear but thankfully nothing bad happened. The only issue I had was when I was tossing stuff in the water and then retrieving it. My hands got very wet while wearing gloves. I had to take them off to adjust the gear and then put them back on when performing. In case you don’t know, leather gloves can be a challenge to take off when soaking wet. They shrink and can get very tight and are usually covered with other goop from the water. I did try rubber gloves, but they get slippery and it’s hard to grab the wet object you’re tossing around. I kept a few towels around to dry off every now and then. A shower was required after every session because the surface water is not as clean as you might think. – And what about the editing and tagging process? What were the challenges on that side? The tagging process was straight forward. The only time I ran into trouble was with some of the splashes sounding like a body splash or swimming. I did not intend this to be a swimming library, but many of the sounds can be used for that purpose. I did not tag that many sounds with those key words as I did not think it was required. When I’m searching for body splashes or water thrashing sounds in my database, I always look for sounds that were not made by humans playing in the water. These can actually sound better to me and be very useful for human interaction with water. The editing process was easy at times and not so easy at times. 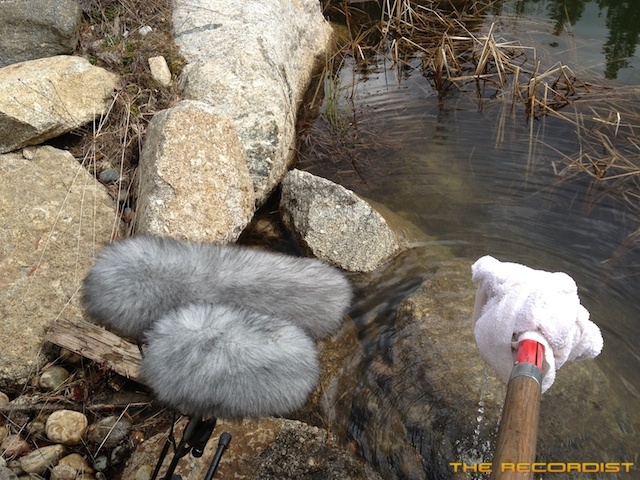 One of the things about recording water or any other organic sound is the ambient noise around you. The ambient sounds during these sessions drove me crazy many times. I would peek my head outside and decide if it was quiet enough to record. In the time it took to get all the gear together and get set up—they’re back—bird swarms, trains, cars, squirrels, lawn mowers and barking dogs. You name it, I recorded it. I was able to work with what I recorded, but a lot of sounds just did not make the cut. 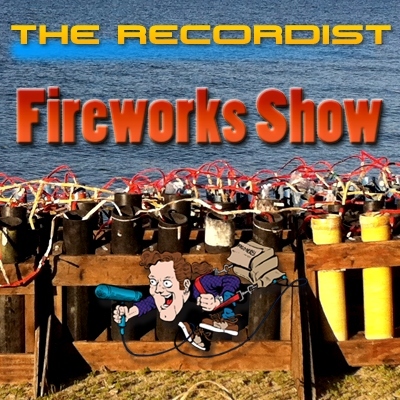 – What’s coming on “The Recordist”? Is there another “Ultimate” release planned for the next days? Next few days? Ha ha! I do try to get a new Ultimate library out every month. They take a long time to compile and are massive amounts of work so I might slow down a bit. Ultimate Wood is on track for release soon, I’m not sure when. I still want to see where I’m at when I finish mastering. I think there are some more sounds I would like to record for it so It might have to wait until winter is over. I have a few dozen smaller SoundBox HD libraries planned for this spring. 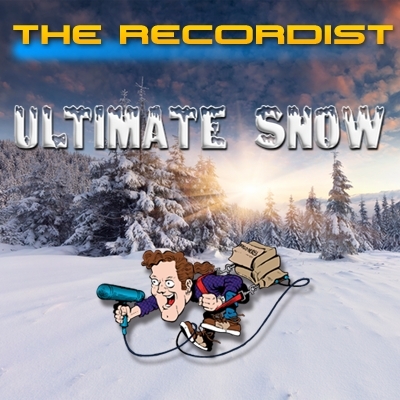 One of them is a prop plane library and another is a SoundBox HD ULTRA collection of snowballs I’ve been recording the last few months. I’ve got some other things that I want to release that will surprise you. I’ll let you know when I know. I try and only plan from sunrise to sunset.